Join in the FUN and get Started Today with your own STOREFRONT, CLUB, GROUP, BLOG, PRODUCTS & EVENTS! Clicky will help you KEEP your Clients and that transfers into MORE dollars for YOU! Clicky will give you the ad privacy you crave! 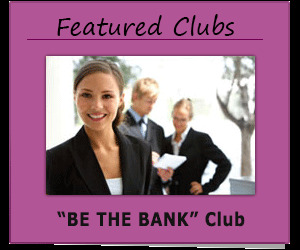 Invite ALL your Friends & Business Affiliates to join your Club and Business Networking Association for FREE! Create as many FREE Generic Clubs as you want! Clicky for Professionals! Web Hosting & CrossPromote Combo ONLY $6.95 a Month! Post ONCE & CrossPromote to over 200 venues and get FREE CPanel Migration for one Year Subscription: ONLY $83.40! Are YOU FED UP & Mad as Hell with Twitter, Facebook, YouTube & Google Blocking YOUR FREE Speech? Maybe it's TIME for a change! YOU think?! Clicky's CrossPromote "Click & Share" Program allows YOU to share to OVER 200 venues including Twitter, LinkedIn, Facebook, Google+ and others! CrossPromote: Click & Share YOUR, Business,Products, Services, Videos, Article, Blogs, Jobs - just about anything with CrossPromote: Click & Share! Get BOTH Web Hosting & CrossPromote Click & Share with MONTHLY Referral BONUSES For ONE Crazy LOW PRICE: Only $6.95 a Month! Simply Post, CLICK and SHARE to over 200 favorite locations like: LinkedIn, Twitter, Google+ Facebook and MORE! Make life EASY! Upload your videos to Clicky FIRST - then SHARE them on LinkedIn, Twitter, YouTube, Google+ and Facebook, or to OVER 200 other venues which could also bring YOU more Referrals & paid Subscribers with Clicky's CrossPromote.Click Subscription Newsletter Program too! Best part of ALL, you won't have to worry about being "demonitized" or blocked by Clicky and others for expressing political free speech! Subscribers are entitled to earn a $1 a month BONUS every month for EACH of their referrals that join the VIP CrossPromote.Click and Share Web Hosting Combo (or any other Clicky Subscription) as long as both YOU and your referred Subscribers maintain their paid Subscriptions. How many Contacts do YOU have? 500 - Millions? Here’s YOUR chance to EARN a sizable BONUS every month by just passively inviting others into YOUR network and becoming a Clicky CrossPromote and/or Web Hosting Subscriber! Use Clicky's FREE Newsletter to gain MORE Referred Subscribers! Clicky's Newsletter will auto populate YOUR ID and LOCK your ID into their Registration form as the referral source! Clicky's VIP CrossPromote Newletter Program includes a Private Cpanel with 10k Subscribers & Unlimited Emails or Newsletters - ONLY $6.95 a month - Web Hosting included! WATCH as we INSTALL the LATEST & GREATEST programs on Clicky! Clicky: The ALL-IN-ONE ClickyBuzz & Click2Call Platform that combines Social Media / Business Networking, Video Product Marketing, LIVE Video Broadcasting & ClickyPhones - while PROTECTING YOUR FREE SPEECH rights! You can Earn Subcribed Referral BONUSES every month while you CrossPromote Your Businesses, Videos, Clubs, Products, Events or Articles with Clicky's VIP CrossPromote: Click & Share Program! EASY: Post ONCE & CrossPromote to everyone - including 200 other venues like LinkedIn, Twitter, Facebook, Google+ and others!